I was an editor for most of my working life. 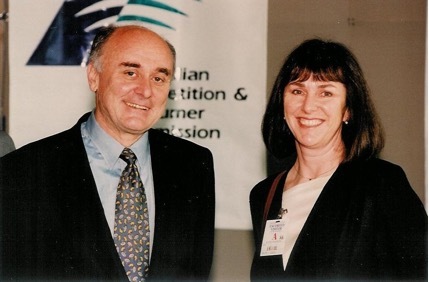 My career was with the Australian Federal Government working my way up the ranks until I hit the high point as Director Publishing at the Australian Competition and Consumer Commission in Canberra. I had fabulous staff who always made me look good—what more can a manager ask for! My qualifications—besides oodles of experience—were (and still are, of course) a Bachelor of Arts in Professional Writing and a Graduate Diploma in Communication. Among that I found time to write. It took four novels to find the genre in which I wanted to write. The first three were young adult, romance and historical fiction. They were long ago consigned to the fire as they were definitely not of publishing quality. The next three were contemporary intrigue suspense which fall under the thriller category. Two are published: automaton and imbroglio. The third, dragline, is sitting in a drawer until I get back to it to do a rewrite. I cringe at the thought of publishing as soon as I’ve finished writing. My work invariably needs afterthought and revision. I’m never in a hurry to get them before the reading public as I want to be sure they’re as good as they can possibly be. automaton won the Wild & Woolley Publishers Fast Books Prize for best Australian self-published fiction in 2003. That was a bit of a coup. I’m currently writing what I anticipate will be a four book series. I’ve finished the first and that’s now in the metaphoric drawer (on my laptop) and I’m trying to decide whether to complete the series or return to dragline. You can view these photos individually with captions on the Photo Albums page.